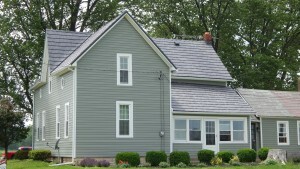 The most important step to caring for your metal roofing is knowing when you need to reach out to the professional roofers for assistance with repairs or care. Even if it’s for regular maintenance, it’s important to let trained professionals handle the business in order to get the job done right and to keep yourself safe. Identifying the problem is perhaps the biggest challenge you’ll have to overcome before finding a solution. Hiring a professional for inspections throughout the year can help you catch potential problems early on so they can be repaired before real damage can occur. Your metal roof is certainly durable, but if your gutters aren’t clean and operating properly, you’re still going to experience some real difficulties in the coming years. Keep your gutters clear of debris and ensure they’re handling water correctly and leading runoff away from your roof. Finally, you’ll need to keep branches from nearby trees trimmed and tame to keep your roof safe. Metal roofs might be durable and tough, but a falling branch can still cause dents and other complications that interfere with the effectiveness and overall health of your roof. Each of these steps serves as a simple way to keep your metal roofing materials safe and healthy in the coming years. For assistance and even more tips, reach out to your roofing professionals to get all the information you need.